Cardiac/ respiratory Endurance Least affected by gains in strength, but still taxed enough for small changes. Stamina If a runner has a more powerful stride, they can go further with the same amount of effort or simply run the same distance faster. Strength This is kind of obvious. Gain strength and you get stronger. Flexibility If deficient, a full range of motion strength program will increase flexibility. Power Power is strength displayed fast. Strength gains will increase power output. Speed Force production goes up with increased strength. More force to the ground means more speed. Coordination The better your ability to recruit muscle, the better your ability to control the muscle. Agility Reducing the time from one movement to another is improved by greater force production. Balance Keeping center of mass over your base is partially due to an ability to produce force. Accuracy Strength gains improve the ability to control movement in a specific direction. ∂ Six repititions for each side. ∂ Six to eight reps for each side. ∂ Repeat six times for each side. ∂ Six repetitions on each side. Anna started her apprenticeship as Industrial Clerk with PUMA in September last year. She loves to play the guitar, working out in the gym and playing football. 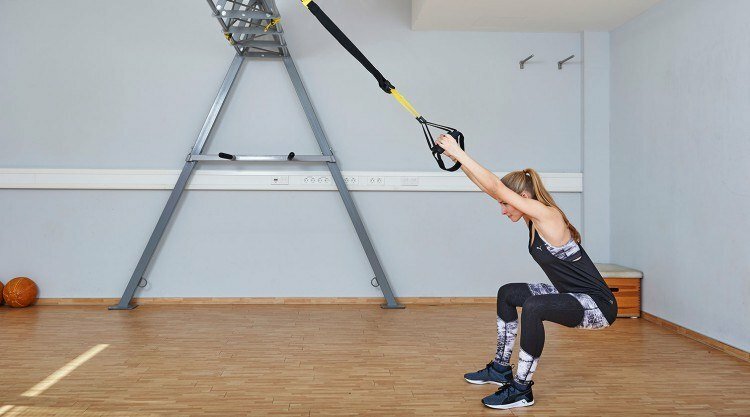 And recently, she has become a fan of Thomas’ TRX classes in the office. Thomas Sommer (35) majored in Sports Science and Health Management. 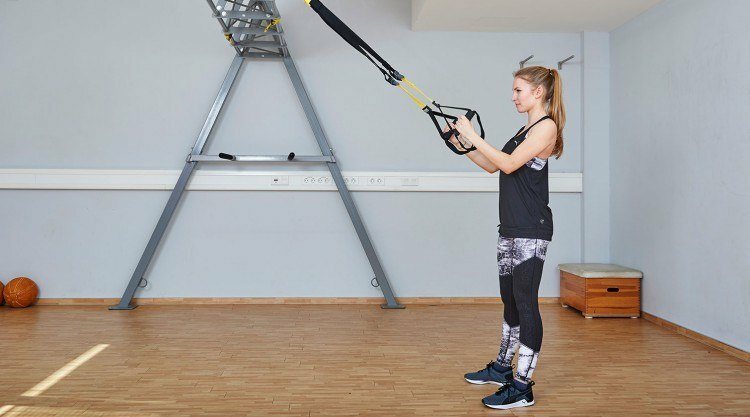 He is a certified TRX and Functional Movement Screen Trainer and runs TRX and Circuit Training classes at PUMA in Herzogenaurach within the PUMA Athlete programme. He loves powerlifting, snowboarding and riding Supermoto, when he is not working at his own personal training business Wellway Sports, based in Erlangen. Strength is one of the most important things you can give to yourself. When you get stronger, life gets better. Most people equate aerobic exercise with good overall fitness, but training for strength is much more beneficial. Strength is the most useful of all aspects of fitness and the one that affects all others. Why should you train for strength? Of the ten aspects of fitness, strength affects all ten and has a significant effect on nine.